My Grandma Dora loved to bake. At least everyone assumed she loved to bake because she was always baking. I think what she really loved was making her family happy by baking. 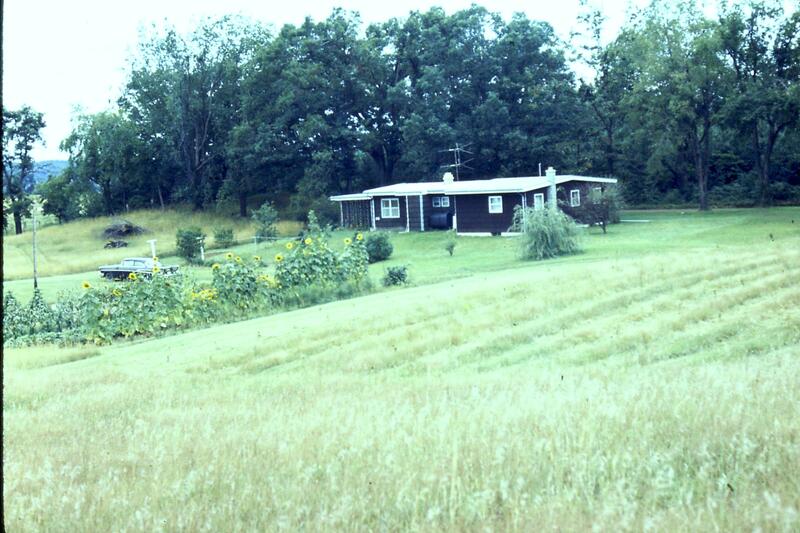 The back yard at the “brown house.” If you look carefully, you can see the clotheslines on the other side of the garden. She had many chores to do and each task took much longer than it does for us nowadays. Take the laundry for instance. My dad said that she did her laundry with a ringer washer. My grandpa would heat the water on the wood stove in the kitchen and put it into a galvanized tub that went with the washer. My grandma would put the clothes and soap in the tub. There was an agitator that would move the clothes around. When it was done washing, she would run each piece of clothing one at a time between two ringers that would squeeze the water out of the clothes. They then went into a clean tub of water to rinse them. Then, they would have to go through the ringer again to get the rinse water out. In the winter, she would either hang them up on lines hung across the dining room or outside. When she hung them outside, they would freeze and get stiff like boards. My dad said she did the wash, every Monday morning. Between all of the chores however, she always managed to find time to keep the cookies coming. 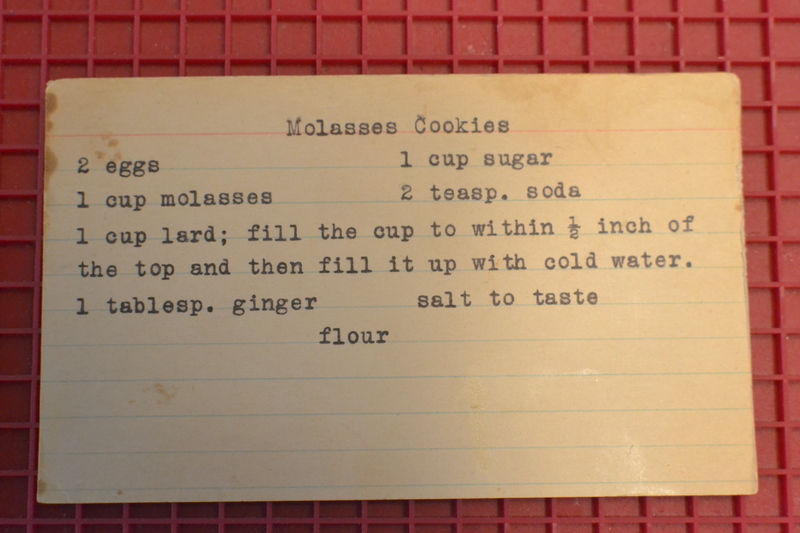 One of the cookies my dad often lists off from his mother’s baking list is molasses cookies. Her recipe was typed out simply. I’m sure she knew all of the steps to make the cookies and she figured out the amount of flour just by watching the consistency of the dough, so she didn’t need to write it down on her recipe card. 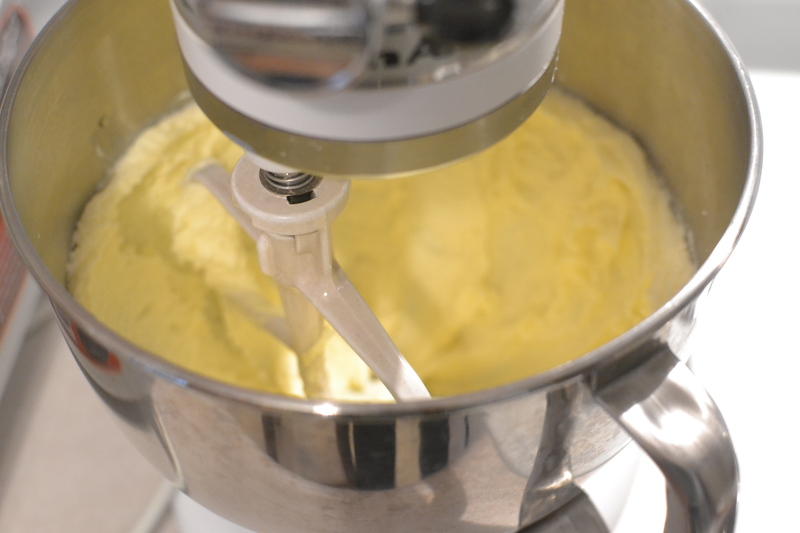 Cream together lard (or shortening) and sugar. Add eggs and molasses and mix well. Combine flour, soda, ginger and salt. Add into the wet ingredients until dough is formed. Roll into balls and bake in 350 degree oven for 10-12 minutes. 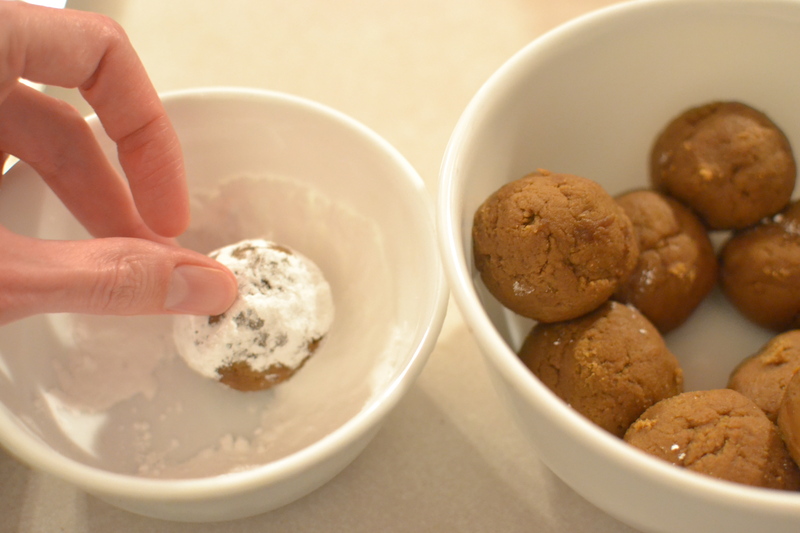 If desired, dough can be rolled in powdered sugar before baking. I didn’t have much to go on with this recipe, but I decided to start and I would figure out the details as I went. I didn’t have any lard, so I replaced it with shortening. 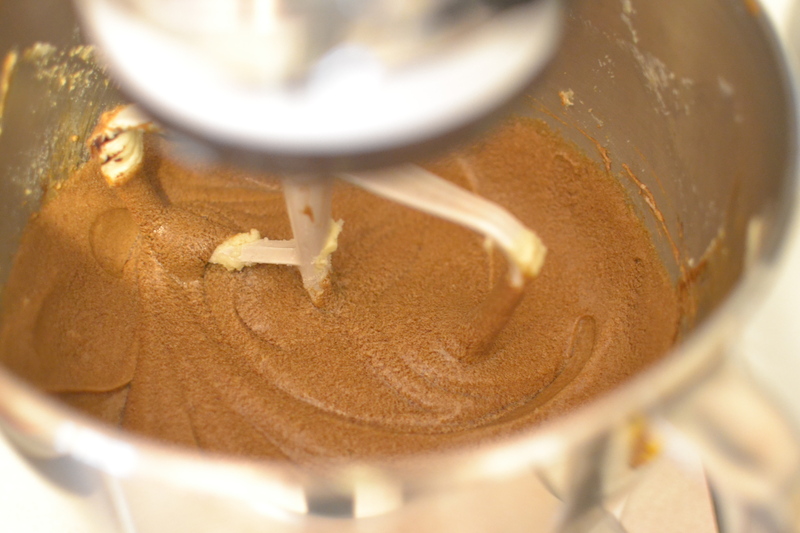 I combined the shortening with the sugar and creamed them together in the Kitchenaid. I then added the eggs and molasses. 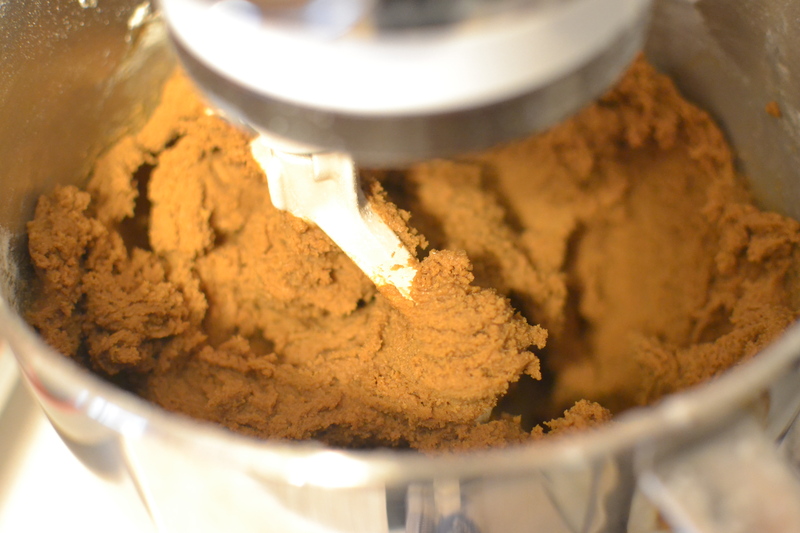 Next, I combined the dry ingredients and then added them to the wet. I wasn’t sure how much flour to put in, so I started with three cups. The batter looked more like brownie batter than cookie dough, so I added another cup of flour. Then, it seemed just right. 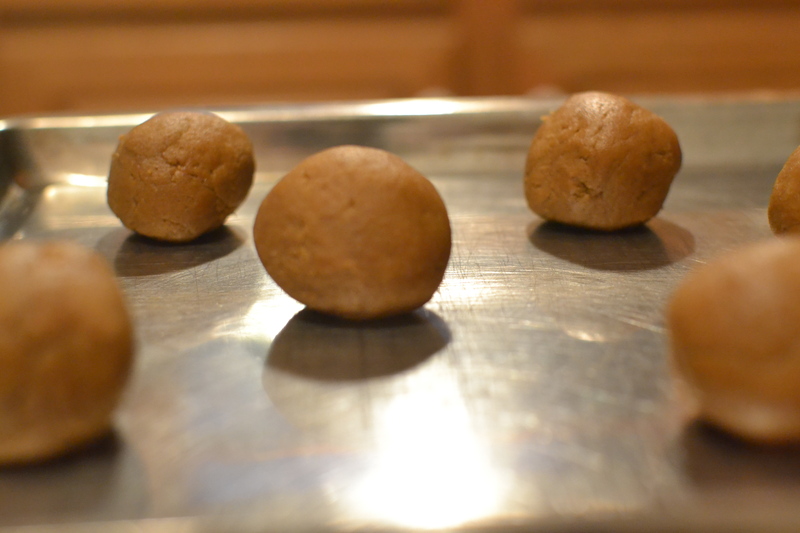 I rolled the cookies into balls. 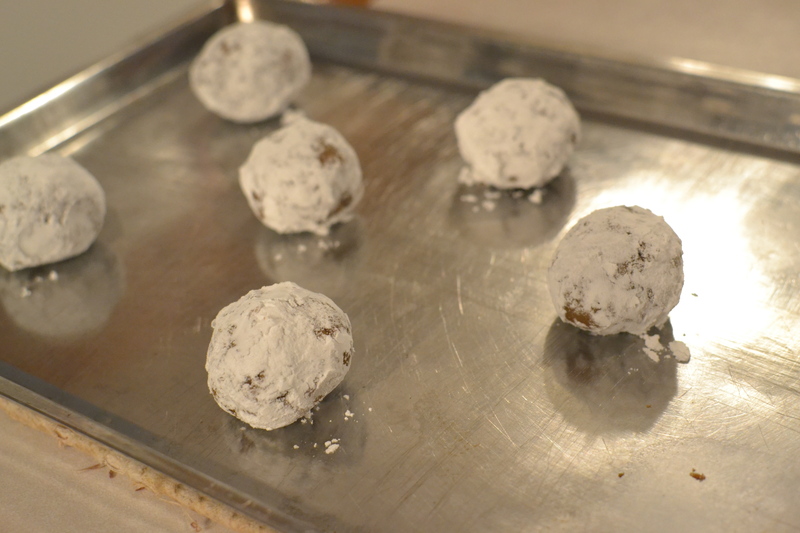 Some of them I left plain and some I rolled in powdered sugar just for fun. Later on, after the cookies were all made, my dad said my grandma usually rolled this dough out with a rolling pin and then used a round cookie cutter to make them into large, round cookies. They turned out fine as drop cookies too, so either way would work. After I put the dough on the trays, I was ready to put them in the oven. The recipe didn’t have an oven temperature or a time to bake. I decided on 350 degrees and I found that 10-12 minutes seemed to be just the right time. My dad said they tasted just like he remembered. I was glad to hear that. 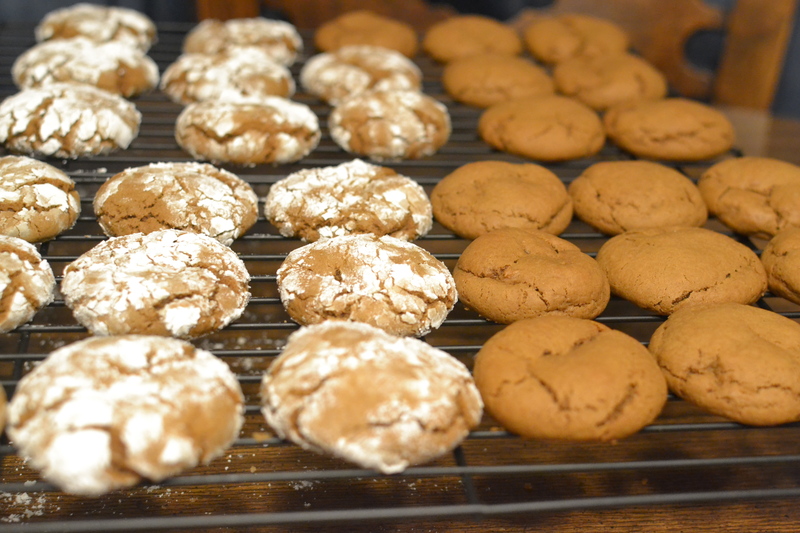 So, if you’re looking for some old fashioned flavor this Christmas season, I recommend you give these molasses cookies a try. 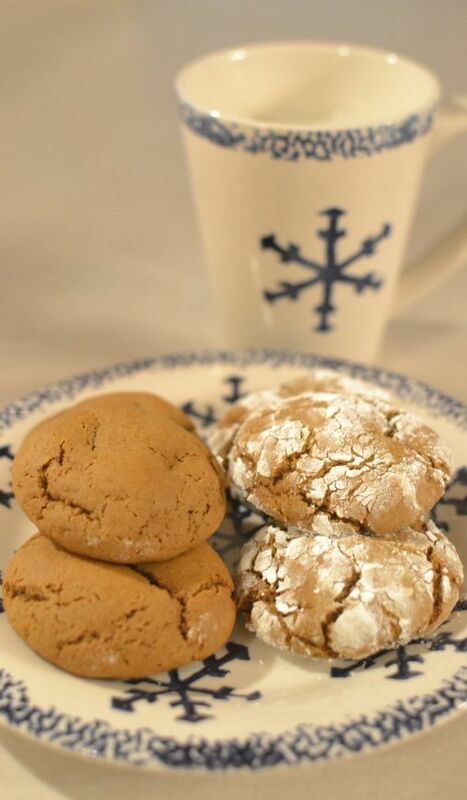 This entry was posted in Cookies, Dessert, Snacks and tagged baking, Cookies, dessert, farm cooking, grandma's cooking, homemade, Kitchenaid, Molasses, Molasses Cookies, scratch cooking by GrandmothersRecipeBox. Bookmark the permalink. Thanks! They truly have that old fashioned, homemade taste! Thanks Arielle! We appreciate your kind words!